I still have to buy the book... funny, usually, I only read one of the novels... perhaps this one, I'll read them both. I recommend both stories in this book. Tracy, we get an explanation behind Judith's jilting of Max... but, yes... it's that cluelessness or thoughtlessness (she never thinks of apologizing or asking how he felt!) that puzzled and frustrated me throughout the story. It's almost as if to her the man was not worthy of it... when she was the one who injured him! 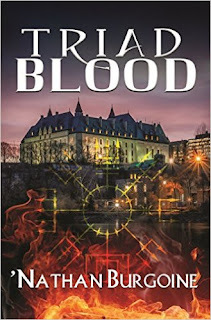 I know a lot of readers will blame the hero because of the "revenge" trope or not read this book because of the trope, but I found this a really interest twist on it... because I absolutely sympathized with him! LOL! I don't think I've read the this one before but it sounds interesting! 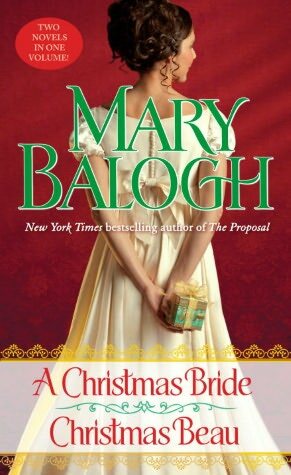 I'm going to give it a try since I usually like Mary Balogh's christmas stories. Oh, a Balogh you haven't read yet, Alex. *g* Definitely give a try, it's a bit different, although the Christmas theme is very much her style.